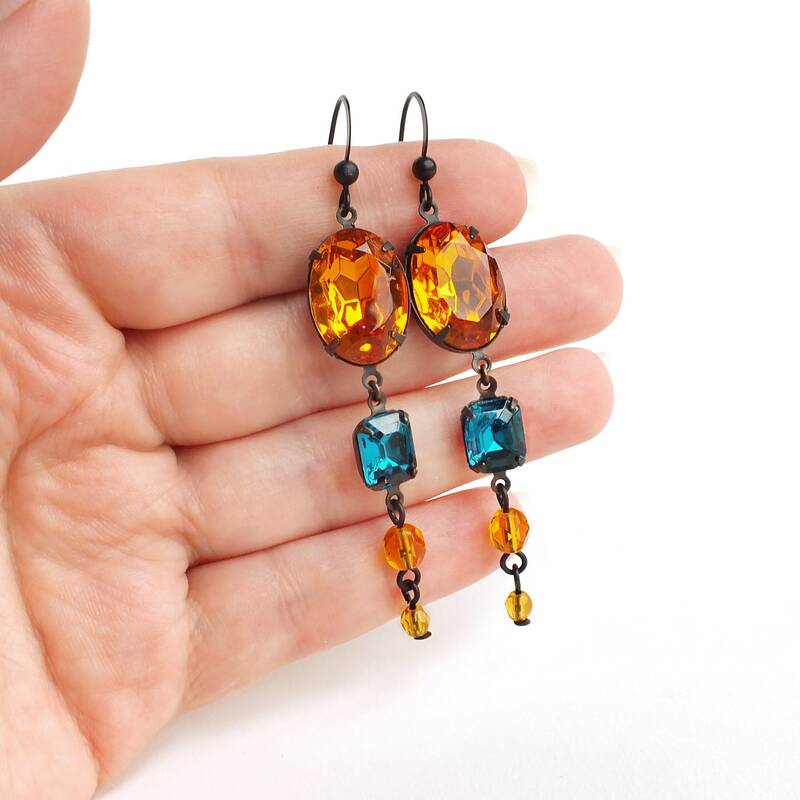 Handmade topaz teal rhinestone dangle earrings with vintage topaz and teal green glass rhinestones. settings made in the USA. 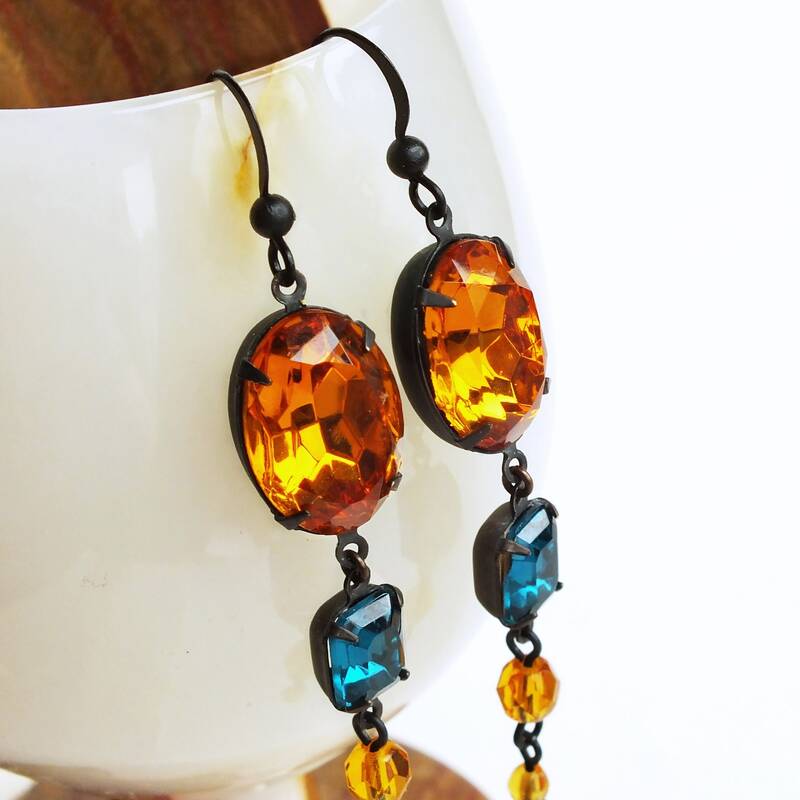 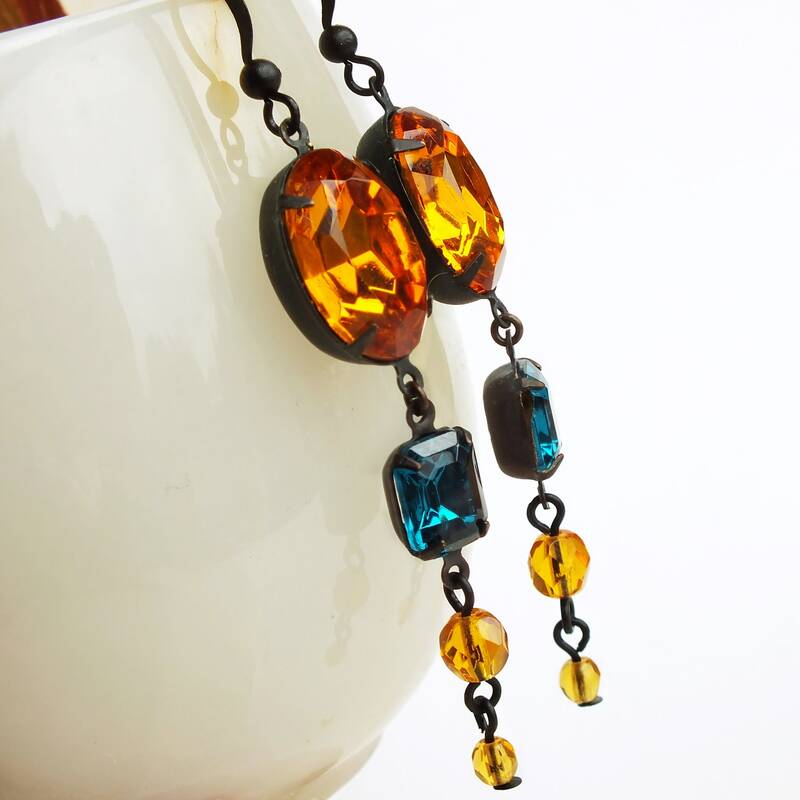 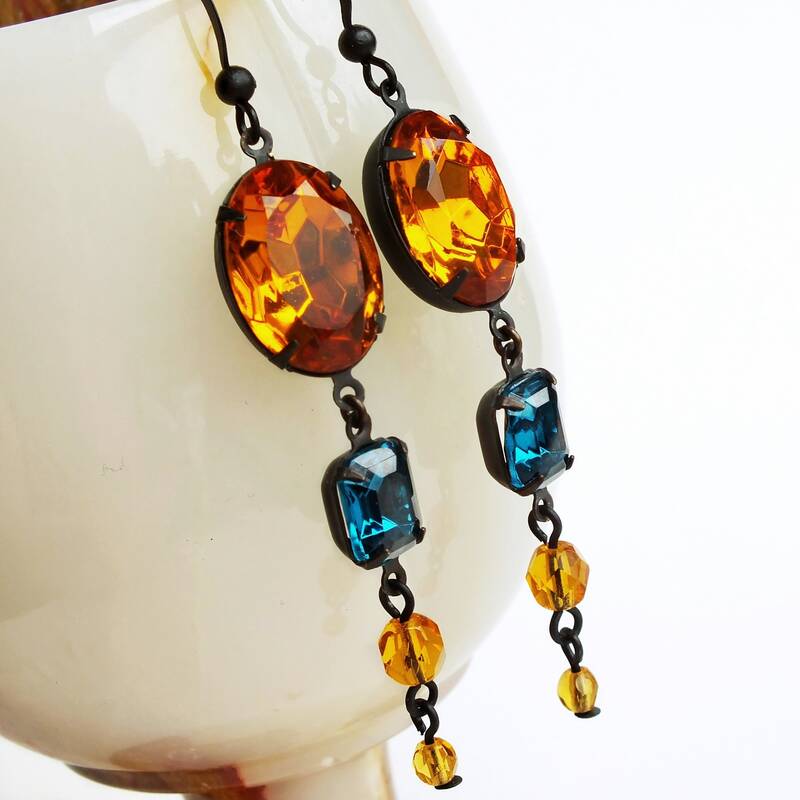 Glamorous dangles made with large sparkling vintage warm topaz rhinestones set in dark antiqued brass pronged settings. 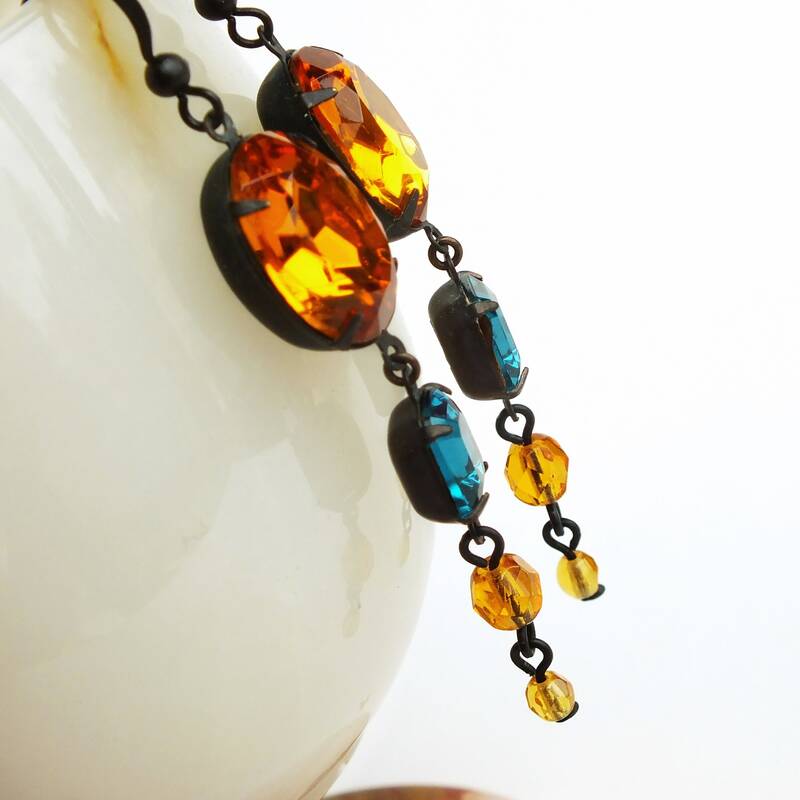 Adorned with vintage teal glass jewels and topaz Czech glass beads.